A few months ago, Niantic changed out the rotation of its level 3 Raid Bosses. At that time, it was almost an impossible task to complete a Ninetales alone. Believe me, I know. Me and many other high-level players tried, but always came up 4-5 seconds short. In fact, achieving this seemingly unattainable goal was such a big deal, a few websites offered prizes to the first person who could pull it off. Fast forward to a few weeks ago when Niantic added weather effects to the game. This was a game changer that suddenly gave Trainers a 20% increase in damage when using Pokémon that coincide with the current weather type. 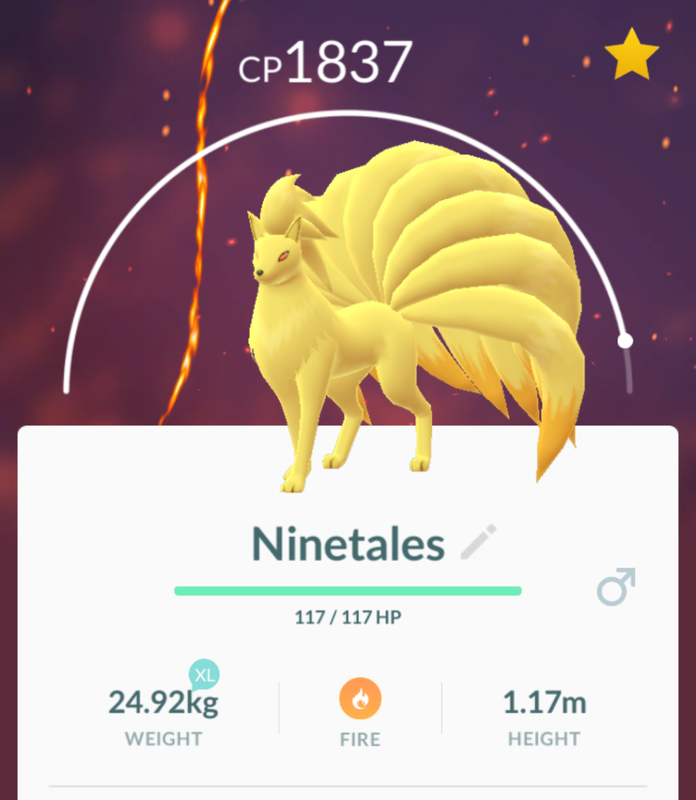 And, even though you still need perfect conditions, that Ninetales solo can now be achieved. So, how’s it done? Let’s take a look. #1 – The move set of the Ninetales can be anything but Solar Beam. If it has this as a move, you will not be able to defeat it. #2– The current weather condition must maximize the damage done by the Pokémon you choose for the fight. On the day of my attempt, it was Partly Cloudy. This was a big advantage because a Golem, which happens to be the best counter to a Ninetales, does 20% more damage in this type of weather. On top of this, I had several maxed-out, high stat Golems ready to put into a fight. As mentioned before, Solar Beam is an impossible move to go against. The Ninetales I fought, possessed a Feint Attack, Fast Move and Heat Wave, Charge Move. After determining that the weather and Ninetales moves were right for a defeat, it was time to go into battle. Here’s a quick recap of how it all went down. As with any fight, I was given 180 seconds to defeat the Boss. I lost my 1st maxed out, Rock Throw/Stone Edge Golem at 60 seconds in. With 97 seconds remaining, the Raid Boss went into the yellow, meaning I was 7 seconds ahead of the pace. At the 64 second mark, the Raid Boss went into the red, meaning I was 19 seconds ahead of schedule. With 60 seconds to go, I lost my 2nd maxed out, Rock Throw/Stone Edge Golem. Then, finally, with 18 seconds on the clock, the Raid Boss was defeated, finished off by my 3rd Golem that had nothing left to give. And, that’s how I did it! With the right weather conditions, Ninetales move sets, Gym Fighters (preferably Golems), some skill and a little bit of luck, you too can take down this gorgeous creature. Want to see the last few moments of the takedown? Check out the video on Instagram.